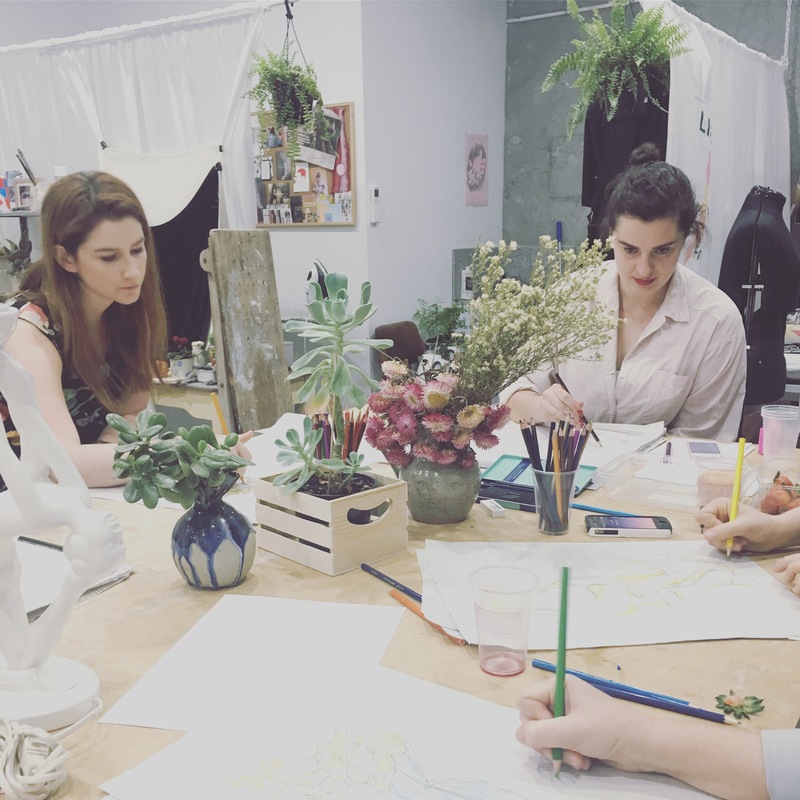 I spent the loveliest evening drawing flowers with Melbourne based illustrator, seamstress, curator and clothing and textile designer Caitlin Shearer of Caitlin She last night. 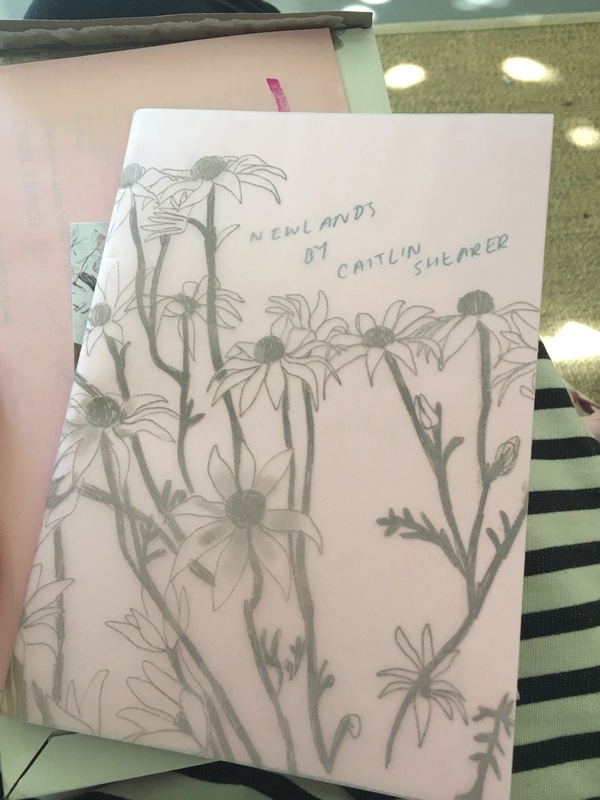 I recently bought one of her gorgeous risopgraph zines “Newlands” which is filled with words of wandering and delicate feminine sketches. So when I discovered she also had a two hour workshop on offer, I booked myself in for a bit of artistic bliss! 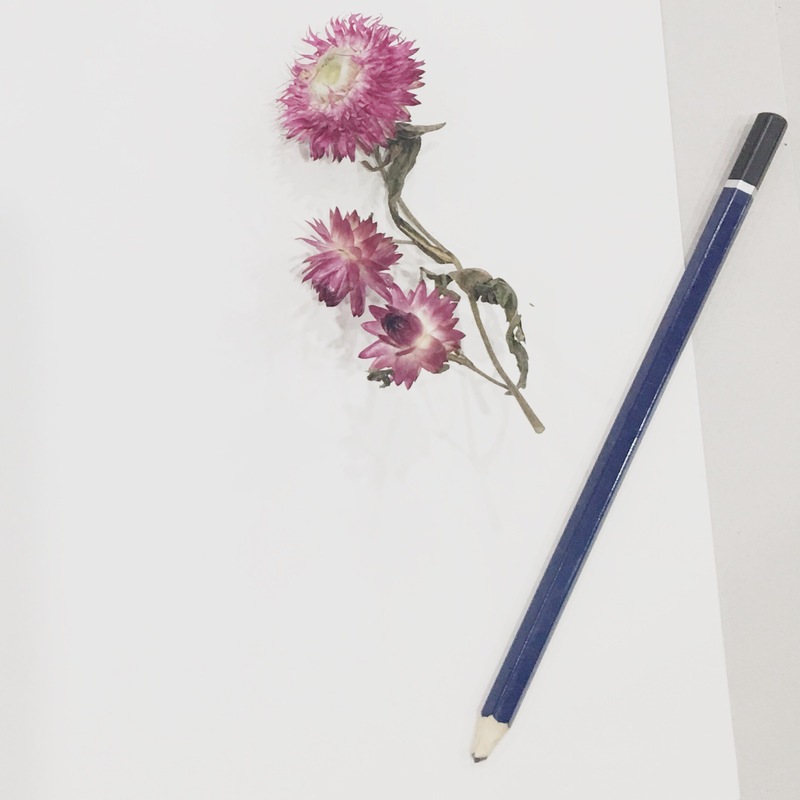 We sat around the table at the very sweet and creative space Toast Worksroom in Brunswick and experimented with pencil drawings of flowers ever so beautifully and simply arranged on the studio table. 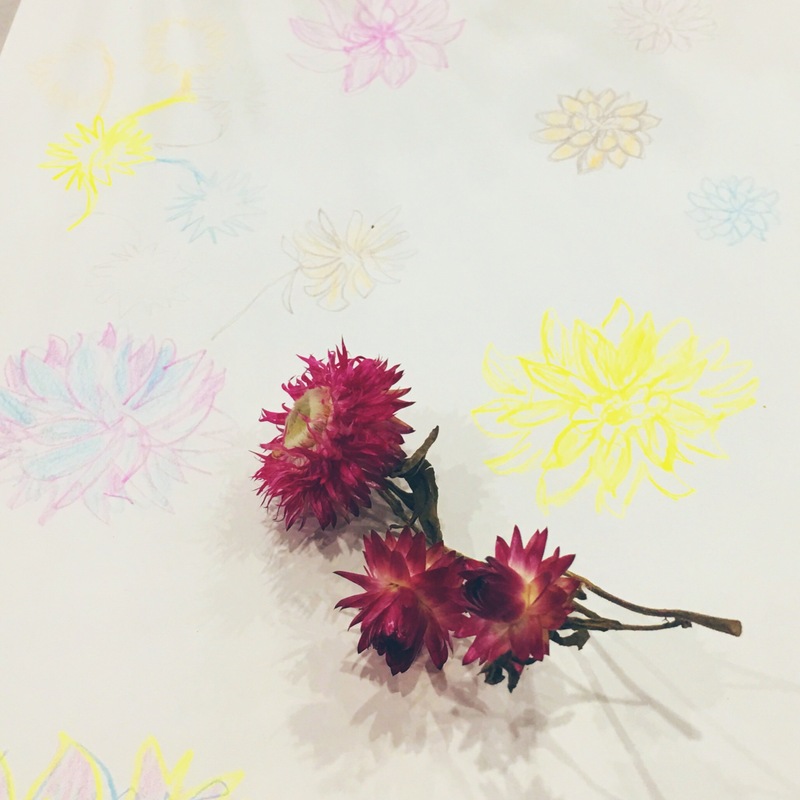 We ate donuts and strawberries and had wine and timed drawing exercises to tunes which is one of my favourite mindful things to do. And even though I’ve studied animation, it was bliss to forget everything I know about drawing and get back to the basics of learning to see. Thank you Caitlin! I hope you do (the thing you love to do) too!